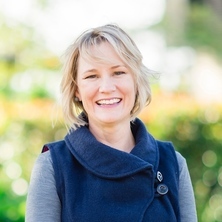 Dr. Kïrsten Way is a Senior Lecturer in the Centre for Business and Organisational Psychology at UQ where she conducts research on the role of supervisors in conflict, occupational stress, fatigue, injury management, and occupational health and wellbeing. Dr. Way is an Organisational Psychologist, Occupational Therapist and Certified Professional Ergonomist who specialises in the study of worker and group-level psychology and its influence on various aspects of organisational performance, but in particular, WHS and injury management. She has particular expertise in work design and occupational health including workplace bullying, work-related mental health, workplace stress, work-related fatigue, human factors and ergonomics. She has worked as the Director of a private consultancy specialising in WHS and organisational psychology and has held positions for Australian and UK WHS regulatory authorities, including Principal Inspector, Manager Psychosocial Strategy Unit, and Manager of the WHS Policy Branch. Parker, Stacey L., Jimmieson, Nerina L. and Way, Kirsten A. (2013). Occupational Health Psychology. In Sarris, Aspa and Kirby, Neil (Ed. ), Organisational Psychology: Research and Professional Practice (pp. 219-242) Prahran VIC Australia: Tilde Publishing and Distribution. Way, Kirsten A. (2012). Psychosocial Hazards and Occupational Health. In The Core Body of Knowledge for Generalist OHS Professionals (pp. 1-45) Victoria, Australia: SIA. Way, Kirsten A. (2012). Psychosocial hazards: Bullying, Aggression and Violence. In The Core Body of Knowledge for Generalist OHS Professionals (pp. 1-45) Victoria, Australia: SIA. Way, Kirsten, Jimmieson, Nerina L. and Bordia, Prashant (2011). An integrative framework of supervisor responses to workgroup conflict. In Alexander-Stamatios Antoniou and Cary Cooper (Ed. ), New directions in organizational psychology and behavioral medicine (pp. 191-219) Farnham, Surrey, United Kingdom: Gower. Way, Kïrsten A., Jimmieson, Nerina L., Bordia, Prashant and Hepworth, Graham (2013) Self-labelling versus behavioural experience of workplace bullying: differences in sector- and industry-level prevalence and sources. Journal of Health Safety and Environment, 29 2: 83-102. Way, Kirsten (2013). Multi-level effects of supervisor third-party responses to workgroup conflict on employee strain PhD Thesis, School of Psychology, The University of Queensland.